Use for standard 2.OA3. 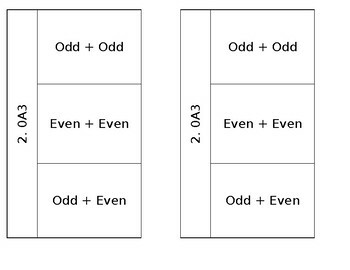 Students write and illustrate what happens when you add an odd+odd, even+even, and odd+odd. Could also be used as assessment of this standard. Great for interactive notebooks!